You can purchase a meal plan and save money! 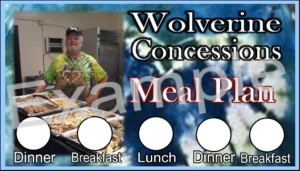 Wolverine Concessions, Dan Lewis, wants to provide a tasty and healthy meal to the Paralounge Family. 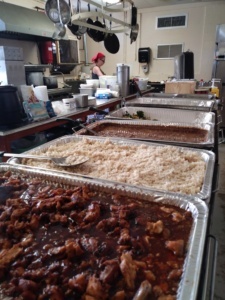 In order to serve fresh food, it helps to know how many people will be eating from the kitchen to prevent left over food. Buying a meal ticket provides a discount price for meals and also provides the kitchen with an idea of consumption. 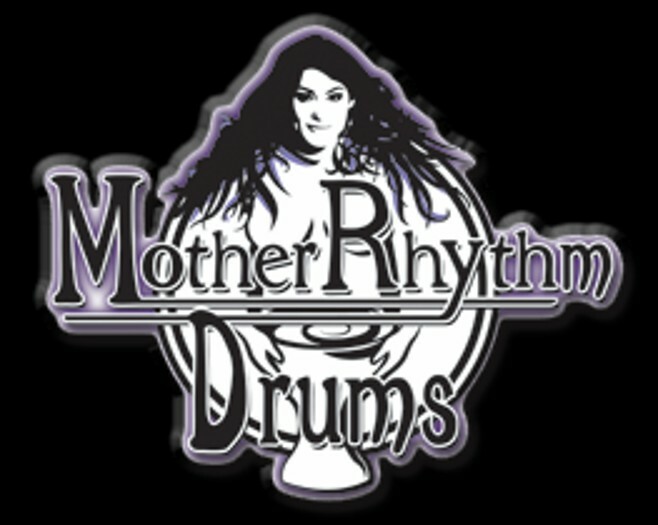 So take advantage of this great opportunity and purchase your meal ticket in advance. The “meal plan” is not required to purchase meals. The menu is Vegetarian Friendly! When you purchase a Meal Plan. Your transaction is with Dan Lewis of Wolverine Concessions. Paypal will give you a receipt for the transaction. Print your receipt and bring it with you. Upon arrival, you may visit the kitchen and pick up your “meal plan” ticket. We are using a punch hole system. Show your “meal plan” ticket when purchasing your meal and each dinner will be hole punched to keep track. Paralounge Inc. and Wolverine Concessions are not responsible for lost “meal plan” tickets. Meal Plan Includes: Friday evening dinner. Saturday, breakfast, lunch and dinner. Sunday breakfast.